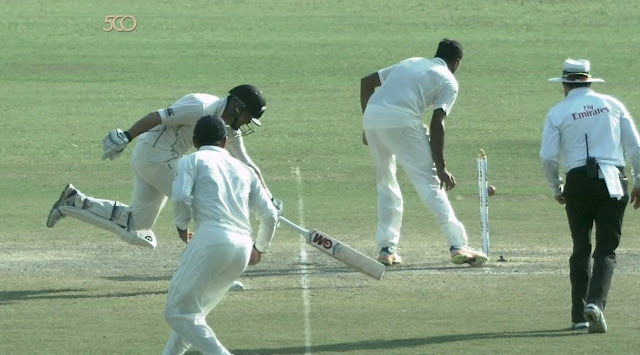 Reading articles (surfing NZ sites) about Ashwin’s bowling feat and the loss of New Zealand at Kanpur in India’s 500th test - 3 incidents attracted me. Luteru Ross Poutoa Lote Taylor - Senior Black Caps batsman Ross Taylor with more than 250 International appearances has been blasted on social media for "a schoolboy error" after his runout left the team tumbling towards defeat against India in the first test. Taylor, who recorded a duck in the first innings, was anything but convincing as he battled his way to 17 on Sunday night (NZ time), before making the mistake of a junior cricketer. 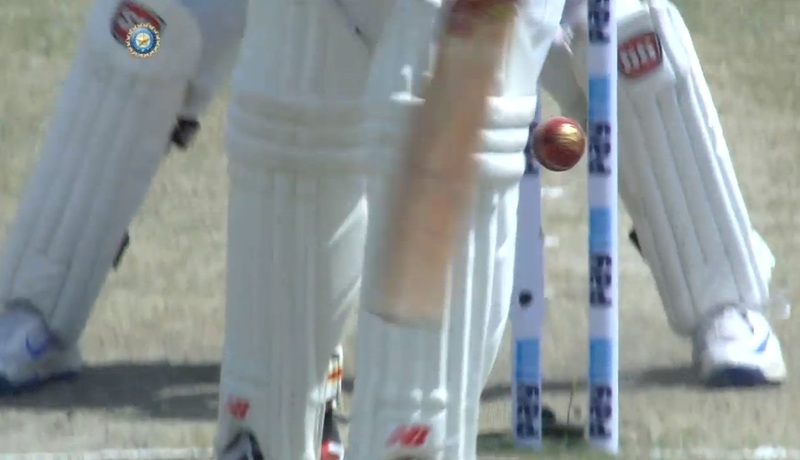 He was a good two meters inside the crease, when a great throw from long by Umesh Yadav hit the non-striker stumps – Taylor had not grounded his bat !!! Had it been India, people would have drawn daggers at the Coach. Mike Hesson was involved with Otago cricket for 15 years before taking over as Kenya coach after the team's poor performance in the 2011 World Cup. He took up coaching at an unusually early age of 22, beginning with a seven-year apprenticeship as Otago cricket's director of coaching. He stepped down as Kenya's national coach, citing security issues fearing safety of his family !! Take the good, the bad, and the ugly, and look forward to Kolkata. 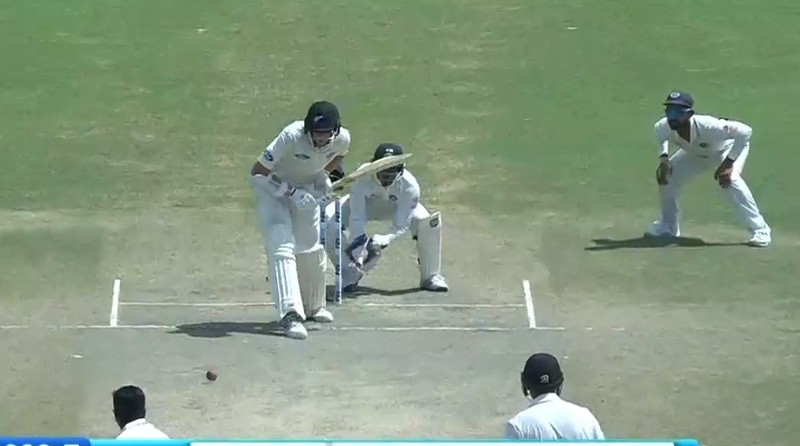 That was the message from Black Caps skipper Kane Williamson after India wrapped up victory on the fifth and final afternoon of a first test in Kanpur that took more twists and turns than a Ravi Ashwin over into the rough. The hosts won the first session, New Zealand the next four but that was all made redundant as Ashwin and spin sidekick Ravidra Jadeja twirled their team back into the match and they powered away to a 197-run win. Now, Kiwis have three days to prepare for the second test against India, and find a way to level their three-match series. New Zealand began the last day at 93 for four - 341 runs behind India - and were eventually dismissed for 236. The result is India's 14th test win at home against New Zealand in 32 tests, against just two defeats. The hosts like Kanpur too. Their last loss at Green Park was to the West Indies in 1983. Since then they have won five and drawn three matches there. Ravichandran Ashwin picked up his 19th five-wicket haul as India wrapped up a 197-run win in their 500th Test match. Needing six wickets at the start of the fifth day, India endured a wicketless first hour as Luke Ronchi and Mitchell Santner stretched their fifth-wicket stand to 102, but the wickets came quickly thereafter. The win arrived 43 minutes after lunch when Ashwin had Neil Wagner lbw with a carrom ball. Chasing a nominal 434, New Zealand had been bowled out for 236. Ashwin finished with innings figures of 6 for 132 and match figures of 10 for 225 in 66.2 overs. Bowling with a callus in the middle finger of his bowling hand, he used the carrom ball frequently after lunch, possibly because he was finding it difficult to grip the offbreak. The wicket of Santner came off of almost an unplayable delivery – pitched so much away from the leg stump of the left hander, it kept coming, bounced, took the edge to Rohit Sharma. Then Ish Sodhi walked across his stumps to get bowled around his legs. New Zealand coach Mike Hesson has done more to show that a paucity of playing experience need not be a barrier to a plum coaching job. His coaching journey began accidentally. When he was a player for Otago A aged 21, he was offered a contract for a club in Cambridgeshire in England on the condition that he was involved in coaching too. At 23, when he gained coaching qualification, Otago appointed Hesson coaching director, working under Glenn Turner. He remained there for six years. After taking up an offer to become Argentina's coach, Hesson returned to Otago a year later, replacing Turner as head coach. Kenya provided Hesson's international job when he was hired after the 2011 World Cup. Only 11 months later he resigned, fearing for his family's security after his family fell victim to an attempted car-jacking and a grenade exploded near their house in Nairobi. When John Wright quit as New Zealand coach in 2012, Hesson became one of the few full-time coaches of a Test nation not to have played a single first-class match. "There's a preconception that it helps to have played to coach - that has some advantages, but it's not completely necessary. If you haven't played you need to be able to look, learn, watch and absorb - Mike's got those qualities," his predecessor Wright reflects. 500th Test ~ (in)experience of Selectors .. ! !